This Galvanized Trailer Hub fits standard 3,500lb Trailer Axles. The Standard 3,500lb Trailer Spindle is referred to as a #84 Spindle and uses Bearings with Inner Diameter 1 3/8" and 1 1/16". 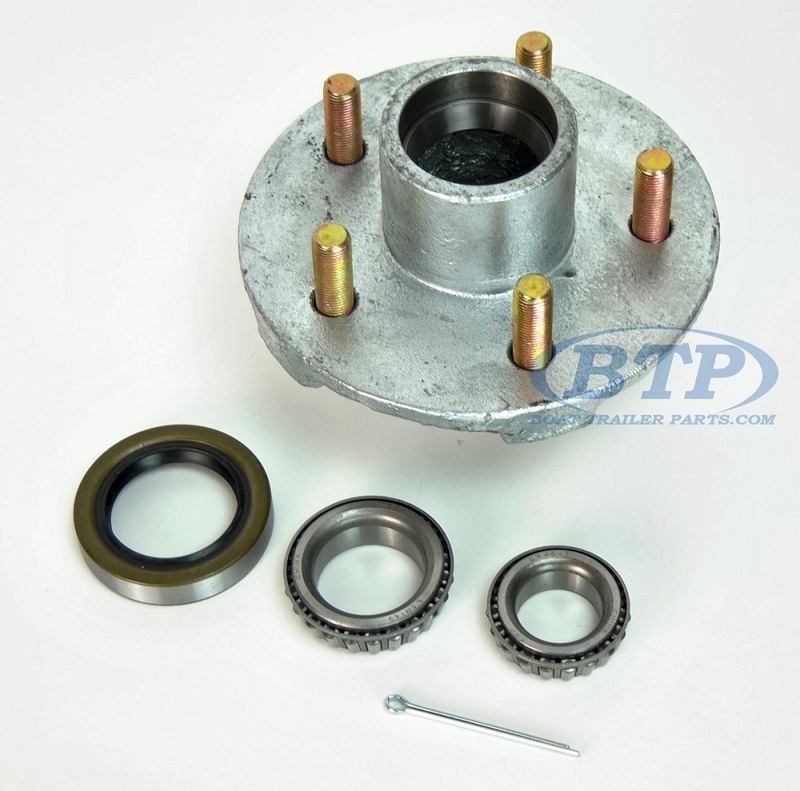 We sell this hub as a complement to your trailers 5 Lug Slip on Disc Brake Kit in the 3,500lb 10" Rotor Size, or for your second axle that is not using Brakes. The Lug pattern on this Hub is a 5 Lug, 5 on 4 1/2 Bolt Pattern. This is an industry standard lug pattern that is present in all trailers wheels up to the 15" Trailer wheels size. This is by far the most common, but always double check your lug pattern measurement before ordering to ensure you get the correct Lug pattern as Kodiak Brakes will not accommodate the less common lug patterns. You may need to Select the Correct Dust Cap for this Hub, you need a 1.98 Size. 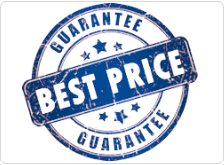 The Type of Grease/Dust Cap depends upon the method you use for Greasing your Bearings. Of course you will need Trailer Hub Bearing Grease when repacking your bearings. We carry Kendall Lubricants, a top name in the industry of lubricating greases and a guaranteed long lasting moisture proof and high temperature wheel bearing grease for your outfit. For a Plain Dust Cap, which means you hand-pack your bearings and then simply cover the opening until you desire to re-pack them again by hand, select 1.98 Dust Cap Fits Most 4 Lug and 5 Lug Trailer Hubs. For an Accu-Lube or Posi-Lube Greasing System, meaning you hand-packed your bearings for installation, then use a Grease fitting installed in the tip of your spindle for re-greasing, use 1.98 Accu-Lube Dust Cap, EZ Lube Fits Most 4 Lug and 5 Lug Trailer Hubs. 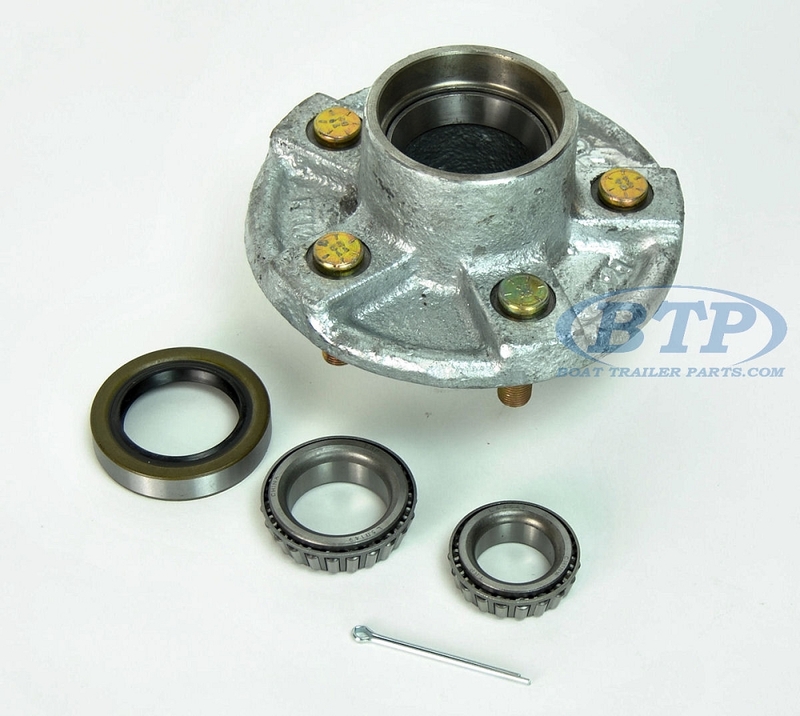 For a Trailer Buddy, meaning you hand packed your bearings, then use the Trailer Buddy to add grease, and keep pressure on the Bearing chamber to assist in keeping water out, choose Boat Trailer Bearing Buddy 1.980 Stainless Steel Most 4 & 5 Bolt Hubs. For the Correct Lug nuts, choose from any of the Trailer Lug Nuts in this category.